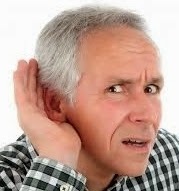 Do we really understand what we hear? When we listen to the words of Jesus, do we get the message? I was on Facebook today and Toby Janicki shared an article by Michael Hidalgocalled “4 Things that Jesus Never Said”. Toby quoted a paragraph that points out how Jesus taught more on living in the here and now than He did about where we go when we die. In the history of human kind, few people have been as widely quoted as Jesus. Which also means few have been misquoted as often as Jesus. I don’t mean we quote verses incorrectly; rather we associate thoughts, opinions, words and phrases with Jesus and the Bible that actually may not be there. This struck a chord. You see, a young lady recently asked me to disciple her. After a few meetings I could see we needed a clear direction of where to take this endeavor. Can I tell you that there is very little on the market talking about true discipleship? A few years ago I wrote a study guide for Greg Laurie’s book, “Discipleship: The Next Step in Following Jesus”. The study was in depth. It made you look deep into the mirror of the Word. You came away realizing this is a serious, life-long commitment. Unfortunately, the book is out of print so the guide doesn’t do a lot of good. friend and I have been going through his book one chapter a week. So this morning I re-read chapter 3 for our next meeting. 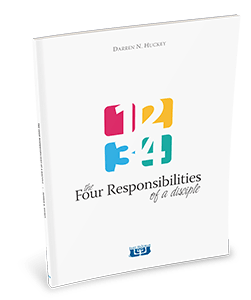 In this chapter, Darren discusses the 2ndresponsibility of a disciple – memorization. Here he makes a valid point. We must do more than just memorize Jesus’ words. We must understand the meaning of His words. Darren gives good examples from history where the words of three different theologians are remembered, but the meaning is distorted. The words are right, but the meaning is changed. Like the article above points out, we can quote verses correctly, but attach opinions that don’t line up with the Word of God. As I study the Jewish roots of my faith, I see this is far more the norm than the exception. Jesus came with a wonderful message, “Repent, for the Kingdom of Heaven is at hand.” Paul continued in that same vein. We, unfortunately, memorize their words but miss the richness and depth of their message. God wants to tabernacle with us in the here and now. Could anything be better than that?